With the impending dividend payout from MJ Gleeson, I’ve been thinking about what to do with it. I mentioned at some point in the past that I wanted to hold more cash and bonds, using the CAPE10 based function I’ve posted about before. That function calculates my cash or bond holdings using the value of the FTSE 100 and is therefore suitable for portfolios where the stock holding is an index tracker following the FTSE 100. In fact that’s exactly what I’ve used it for so far when annually re-balancing my wife’s pension and currently the bond allocation is about 30%. 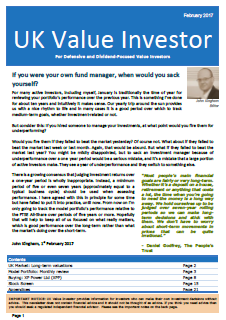 However, the value investing portfolio which is the focus of this blog is most definitely not a FTSE 100 tracker. The shares in my portfolio live in a dark little corner of the size and value grid where academia says out-performance is most easily had. On that basis I don’t think I should hold cash or bonds based on the value of the FTSE 100. What I’ve decided to do instead is to be as fully invested as is sensible (i.e. if I have £100 cash there’s no point investing it since the trade commission will be about £10). Once I get my hands on the MJ Gleeson dividend and sell my bond holdings I’ll have about £3,000 cash to invest; and Luminar is looking like a high risk high reward place to put it. This big nightclub operator is very cheap, both tangibly and intangibly. It doesn’t have quite the low debt levels I typically like, but it doesn’t seem to be drowning in debt. On the downside, they’ve just lost the founder and chief executive; and one of their major investments has just gone into administration probably wiping its ~£17 million value from the balance sheet. Further to the downside the company has lost over 50% of its tangible assets over the last 5 years which, although bad, pales next to the 90+% paper losses of shareholders. This is as good an example of why value investors are a rare breed as you are likely to find. Only the maddest or hardiest of souls would give money to a company with such a poor record. Will I become one of them? For those of you who are interested in this sort of thing, I’ve added a Checklist page to list the (semi) mechanical steps I take when investing. The whole area of checklists and why we need them is very interesting in itself and I’d recommend both The Checklist Manifesto and Work the System as an introduction. I enjoyed reading your checklist. It definitely pays to have a clear strategy to work from. Thanks. I think the key is to get things written down so they're not just floating about in your head, and I can see from your 'about' page that you've got your rules pretty well nailed down. Good luck with the new low strategy. Should LMR be in breach of its covenants the Banks would have carte blanche over LMRs assets. I know from reading your blog that you like high TBV business and LMR is one of them in relation to its current market cap. If I could buy LMR lock stock and barrel, cease trade and sell the assets then there is value there. However, if covenants are breached then we will see either a massive rights issue or a debt for equity swap. Either would completely wipe out current TBV per share and with it your MoS. Again, Mr Market may or may not be right in the end but the above is what I believe to be the cause of the collapse of the share price. I remember a very similar thing happened to PFD before it had a heavily dilutitive rights issue, and I can see a lot of similarities here. As long as the share price remained below 100p I would then see value in it. Shares have a habit of rebounding long before all of the above conditions are met but even if it doubled from the current price you would still be getting a bargain if a recovery was under way. There is a very real risk that equity holders could be wiped out as it stands though, and that is why LMR's market cap is £10m. 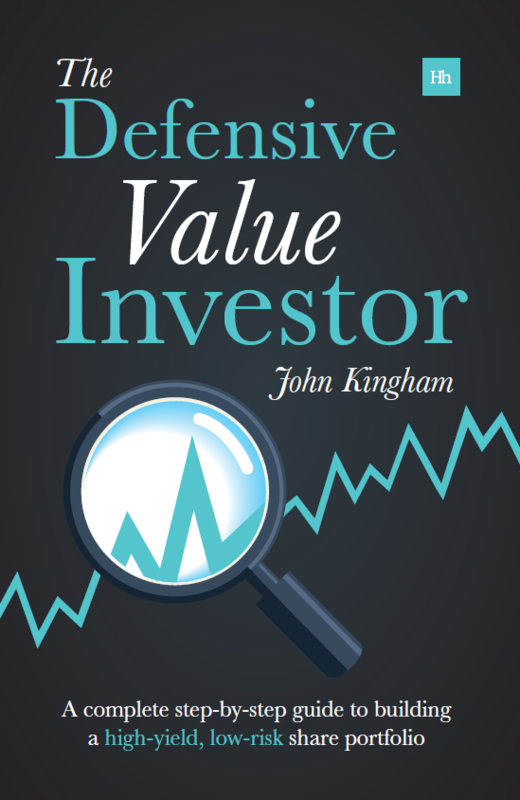 On the subject of value investors in general, I like the idea of setting up some sort of community where UK based value investors can meet up to discuss and share ideas. At the moment I use interactive investor but there are so many muppets on there it is difficult to hold any sort of constructive debate on many of the board. Thanks for the detailed comment. I sort of agree with most of what you've said. If I could wind back the clock and make the Luminar decision again I would not be a buyer. There are two reasons for this: 1, I made some analysis errors and didn't properly factor in the closure of 3DE and how the loss of about 17M would affect gearing (i.e. Luminar was borderline for me already and the 17M asset loss would have pushed it over my threshold); and 2, I now look at the F-score as a way to measure how near/far the company is from a turnaround and Luminar would have failed this too. However, because of the very low price I only put a small amount of my fund in so even if they wipe me out it isn't too painful and I'll have a lot to learn from. I think a UK community web site would be a good start, something like http://www.valueinvestorsclub.com but with a membership beyond professionals and larger than 250 maximum. I'd join it if they wanted me, although I'm pessimistic about the ability of analysts to predict the future and tend to stick to a few very simple metrics, so my analysis tends to be 'overly simplistic' as someone once told me. http://www.valueinvestorsclub.com – don't get me started! I actually applied. Spent a few hours putting together an analysis on Graphite Enterprise Trust and how it was selling for less than the cash on its books in Feb 2009. I bought some at 160p a share. Needless to say that they rejected my application… Despite the subesquent return of the share price to 300p+. It's still selling at a big discount to nav however it is above cash balance now so I suppose it's not as cheap… NAV still over 400p a share though. Simple metrics are the best. If I can't work it out in my head then I shouldn't be investing in it. Buffett once said "I'd rather be approximately right than precisely wrong" and he's right. If it doesn't jump off the page and scream bargain then it is too close to call. My trade background is IT and I'd be more than happy to work on a project to create a Value Investors community/forum in the UK. It's just a matter of finding enough like minded individuals to participate. I'm sure there is enough of us out there though. If you look at the comments on 'patience is required' there's a bunch of us value types that are hankering for a community. Some have left their emails.